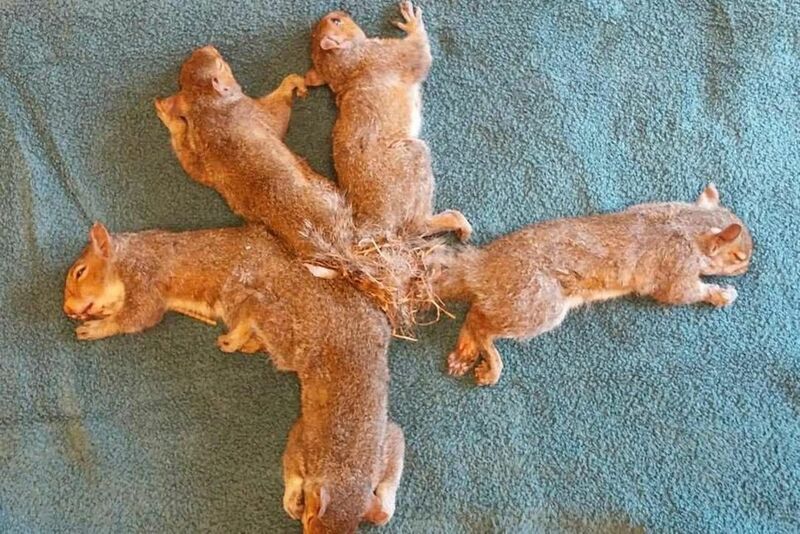 UNCROSSING: Five squirrels. After five young siblings got their tails fused together, the Wisconsin Humane Society cut them free with scissors, under anesthetic, the BBC reports. “You can imagine how wiggly and unruly (and nippy!) this frightened, distressed ball of squirrelly energy was,” said the animal rehab centre. CROSSING: People born in New York City who don’t identify as male or female. They now have the option of changing their birth certificates to “X” under city council’s legislation. Parents can also choose the option for newborns, and adults can more easily change their own designations. HEALING: Burt Bacharach. The 90-year-old songwriter and crooner has collaborated with Rudy Perez on “Live to See Another Day,” a ballad inspired by the massacre in Parkland, Fla., and other school shootings. Two Florida teens sing the vocals, with proceeds to the anti-gun-violence Sandy Hook Promise Foundation. DONATING: The Duchess of Sussex, a.k.a. Meghan Markle. She has chosen a charity cookbook that helps families hurt by the Grenfell Tower fire as her first solo project as a royal. The Together: Our Community cookbook has recipes from women in the Grenfell community. SELLING: Two Georgia women who chose an inopportune location to hawk edible marijuana products. The Savannah Morning News reported two arrests at a church event, where entrepreneurs had set up booths to sell various items. Undercover agents made a purchase, and made arrests. STAKING A CLAIM: Indicted U.S. Rep. Chris Collins, to his New York state district. Collins decided this week to remain on the November ballot despite previously suspending his campaign, thus annoying fellow Republicans. Collins pleaded not guilty to insider-trading charges. It wasn’t clear if he would actively campaign. CLAIMING A STEAK: Venezuelan President Nicolas Maduro. He feasted on expensive steaks and smoked cigars at a restaurant in Istanbul. With his country in economic collapse, the videos posted by Turkish celebrity chef Nusret Gokce, known as Salt Bae, set off the anti-Maduro crowd back home and around the world. Next Article FIFA president averse to Spanish League games in U.S.
© 2019 Amman Designer. All Rights Reserved.